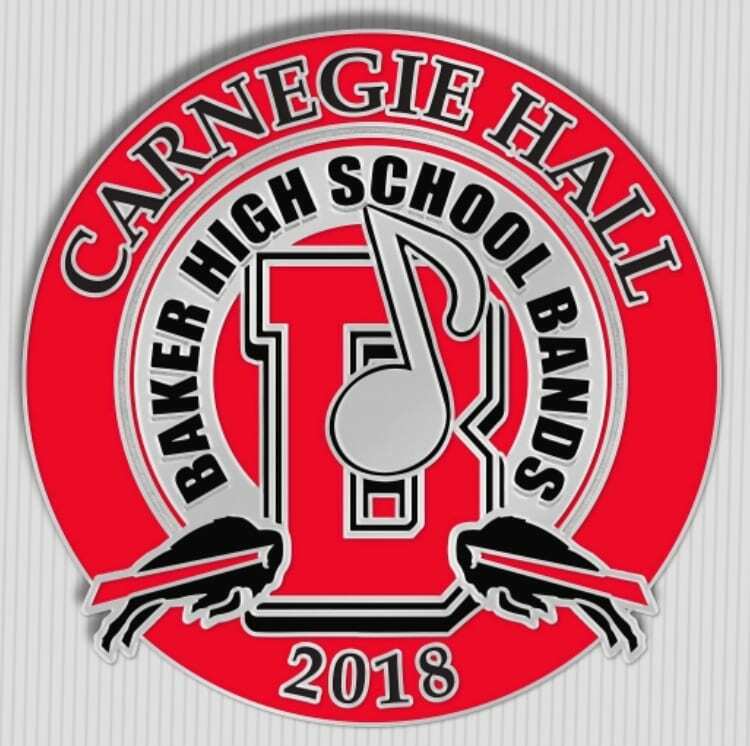 The Baker High School Band Program has historically been the heartbeat of the City of Baker. Through a lineage of highly trained directors, the program has continuously performed throughout the region at a superior level. The marching band performed in The Tournament of Roses Parade and Disneyland in 1956. Both the marching and symphonic bands have more recently performed for Disney’s Magic Music Days as well as numerous nationally recognized music festivals. The Symphonic Band consistently earns Superior and Excellent ratings at the LMEA District IV Performance Evaluation. The band also participates in clinics and workshops with college band directors, applied instructors and internationally recognized composers. Notably, the band has recently worked with Jacob de Haan, Robert Sheldon, and Ayatey Shabazz and has premiered commissioned works composed by Shabazz in 2017 and 2018. 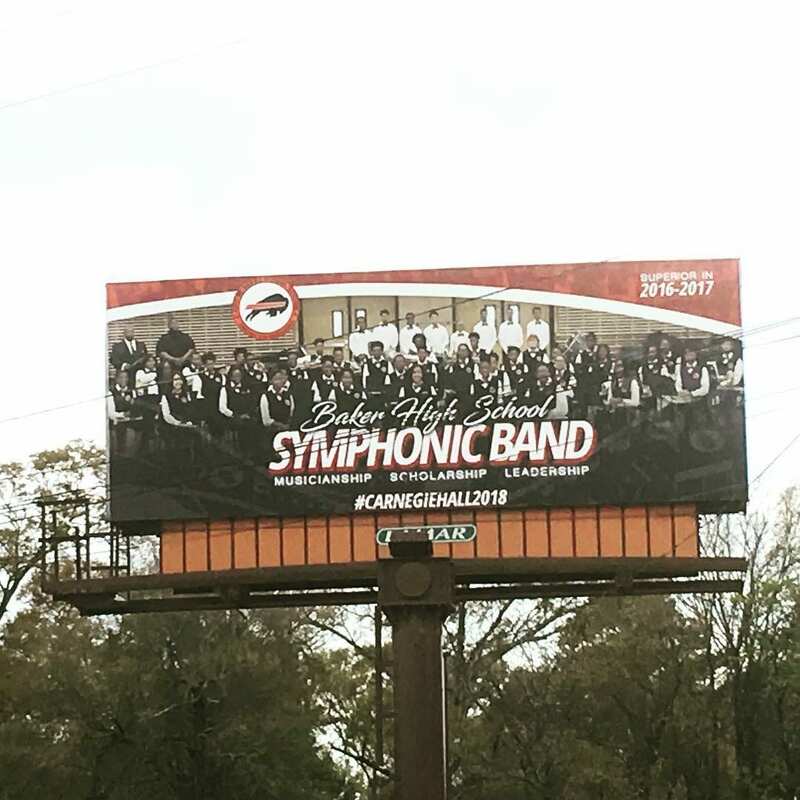 Because of the recent success of the band program, the City of Baker School System Superintendent, Dr. Herman Brister, had a billboard designed to celebrate the efforts of the band students and staff. Dr. Brister, district leaders, and Principal Traci L. Morgan are firm believers in the importance of comprehensive fine arts programs and have provided the resources for this program to shine among the best band programs in the region. 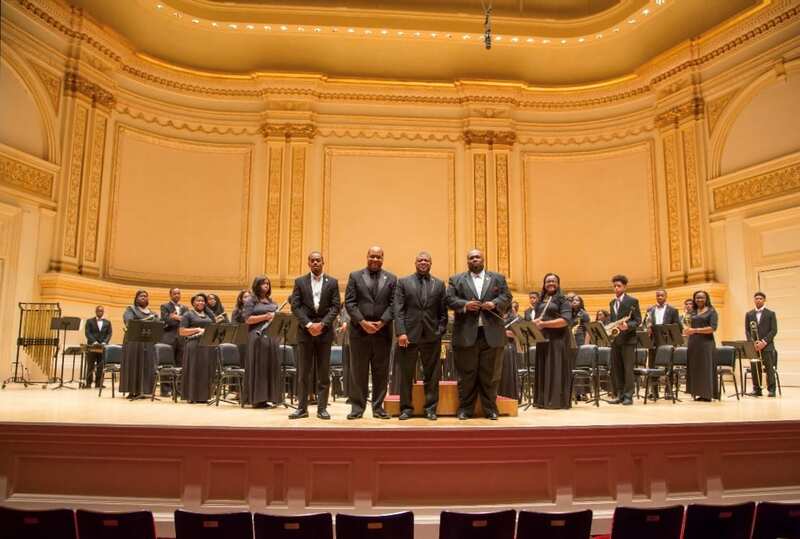 Under the direction of Mr. William J. Earvin, the program has continued to thrive towards superior performances both on the field and on the concert stage. Other recent recognition includes local television coverage, proclamations in the Louisiana State House of Representatives and Senate, and awards from Louisiana State University and Southern University. 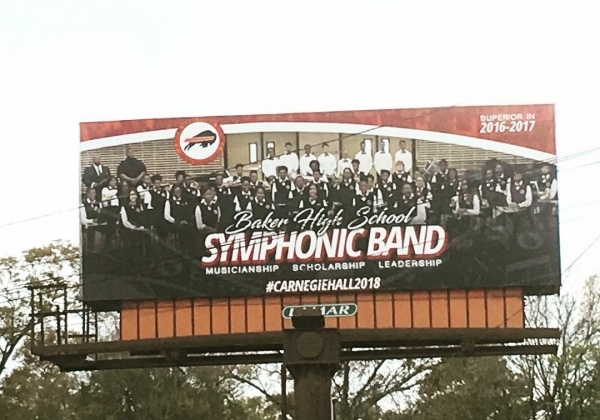 The billboard still stands tall in the city of Baker with plans to update the artwork to thank the community for supporting the recent trip to Carnegie Hall in New York. 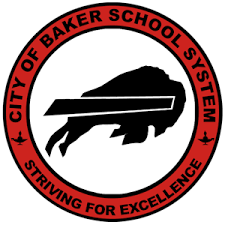 The City of Baker and East Baton Rouge Parish in the state of Louisiana. $8400 is paid to the LAMAR Billboard Company and there is a fee for artwork setup and printing. The monthly payments from the district equal $700 monthly for 2 billboards. The district leadership uses the two billboards to advertise for recruitment purposes. The band program, athletics, and our new technology initiative have been the most recent advertisements. 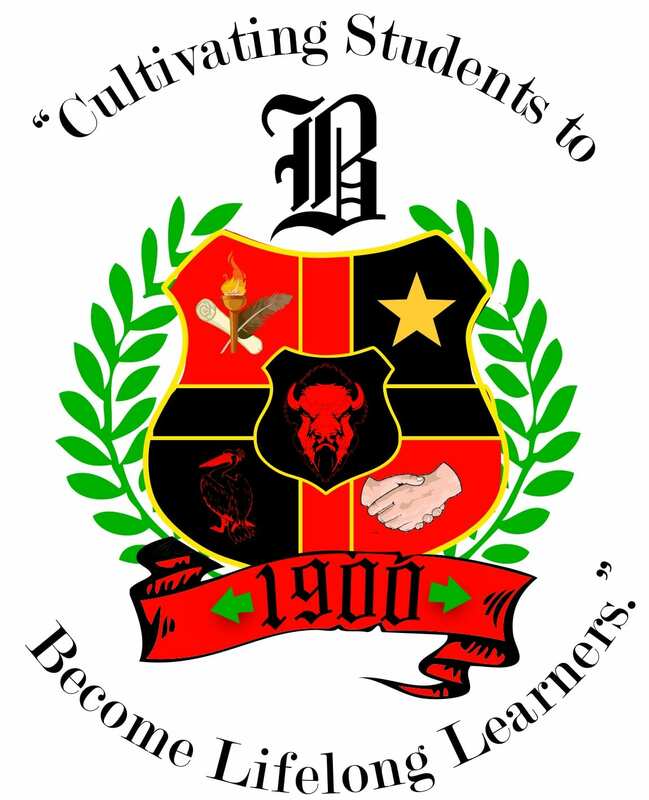 Enrollment in the district has increased at the High School and within the band program. The community supports the school system and the billboards have been an effective way to show community members how the district is progressing. They have also brought us positive attention on social media.